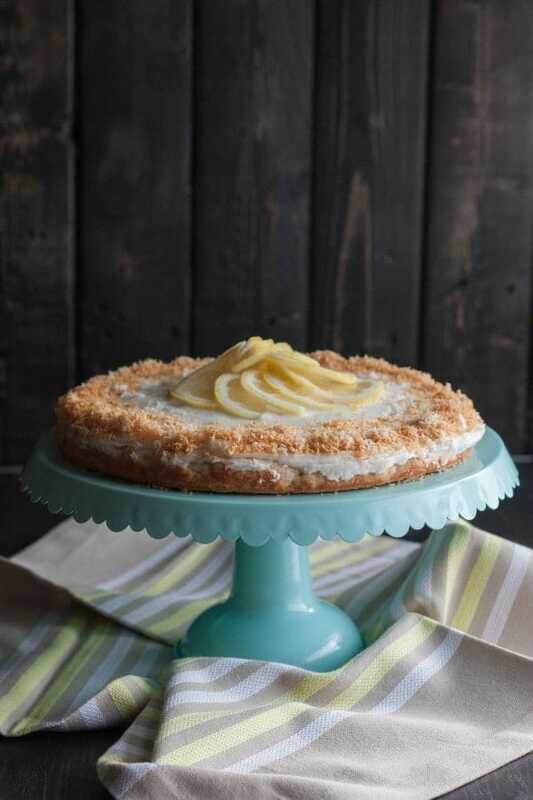 Brighten your day and forget the cold with this light and airy vegan coconut lemon cake! Toasting the coconut really brings out the flavor! Has it been cold where you live? Has it been downright cold-to-the-bone? It has literally been freezing where I live in Milwaukee, WI. With the temperatures being what they are, it makes me want to escape to a faraway land with palm trees and sand. As I was shivering standing in my cold kitchen, looking outside at the snow covered ground, all I could think about was warmer climates and sunshine. 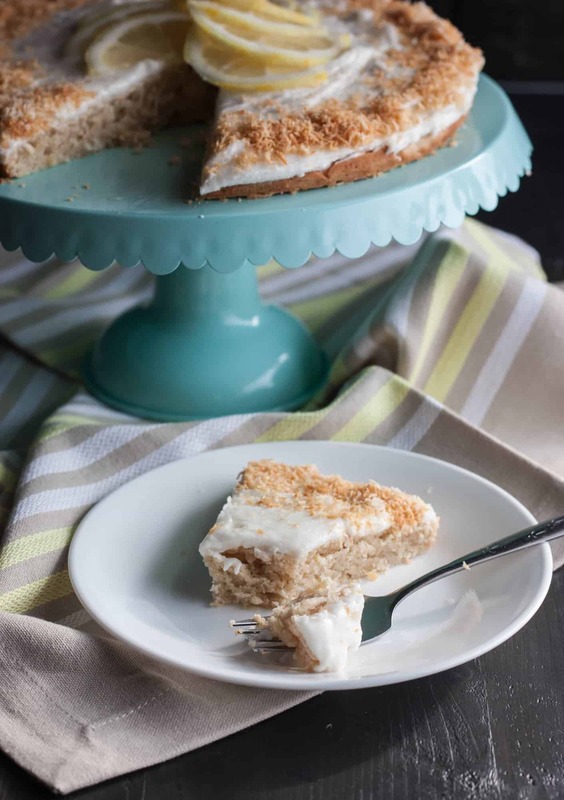 And nothing conjures up thoughts of tropical places like the flavors of coconut and the bright color of lemons, so why not combine the two into a delicious cake? Cake makes everything better, right? I had been playing around with the coconut-lemon flavor combination for a while, and could not have been happier at the cake my idea turned into. Better than that, the cake just so happens to be vegan! I am not vegan, but lately I cannot get enough of coconut recipes that just so happen to be vegan (like these no bake coconut date energy bites…I’ve made them 3 times over the past month!). The cake is subtly sweet with hints of lemon and coconut. The sweet frosting and toasted coconut on top tie it all together. The toasting of the coconut flakes really brings out the warm coconut flavor that you want on the top of the cake. Topping the cake with lemon slices not only looks beautiful and decorative, but as the lemons sit on top of the cake they add a little lemon flavor to the frosting that gives it an extra zip! All around, this vegan coconut lemon cake is super flavorful and reminiscent of warmer days and will bring brightness into your day! Line a springform pan bottom with parchment paper and then grease the pan with coconut oil. 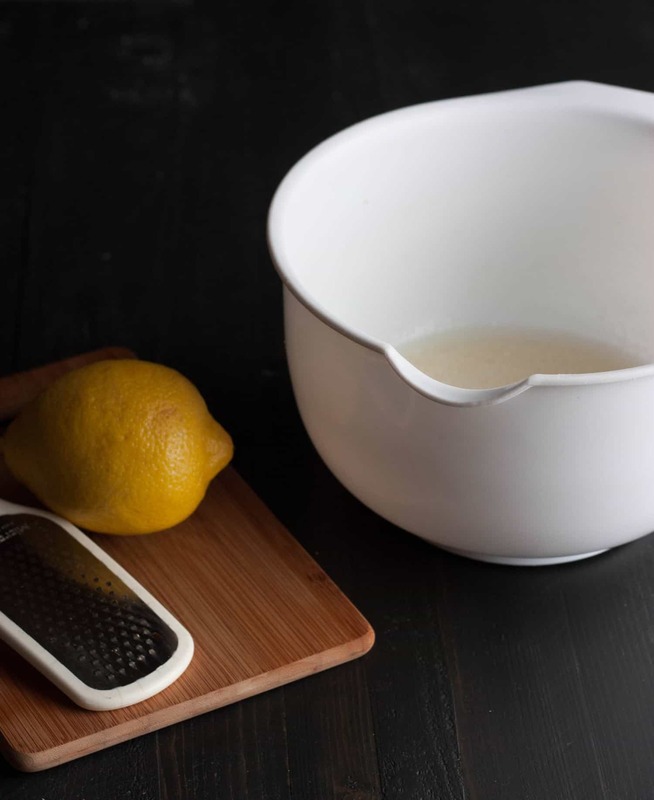 In a bowl start by mixing all the ‘wet’ ingredients (coconut oil, coconut milk, vinegar, lemon juice, vanilla extract) with a hand or stand mixer. To the mixing bowl add the sugar and beat again. Then mix in the flour, baking soda, and salt and mix again, then add in lemon zest and 1/4 cup shredded coconut and mix. Spoon into springform pan and bake for 25-30 minutes, or until a toothpick comes out clean. Allow cake to cool completely before frosting it. While the cake is cooling, line a baking sheet with aluminum foil and add remaining shredded coconut to the baking sheet. Bake for 5 minutes at 350 degrees Fahrenheit or until golden brown. Remove from oven and allow to cool. To make the frosting cream together coconut oil and milk, then add in vanilla extract, and slowly add in the powdered sugar and mix until it is a smooth and thick frosting consistency. 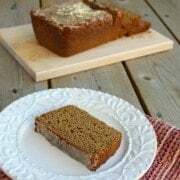 Spread frosting on the top of the cake, then sprinkle toasted coconut around the edge of the cake, and layer thinly sliced lemons in the top center of the cake. 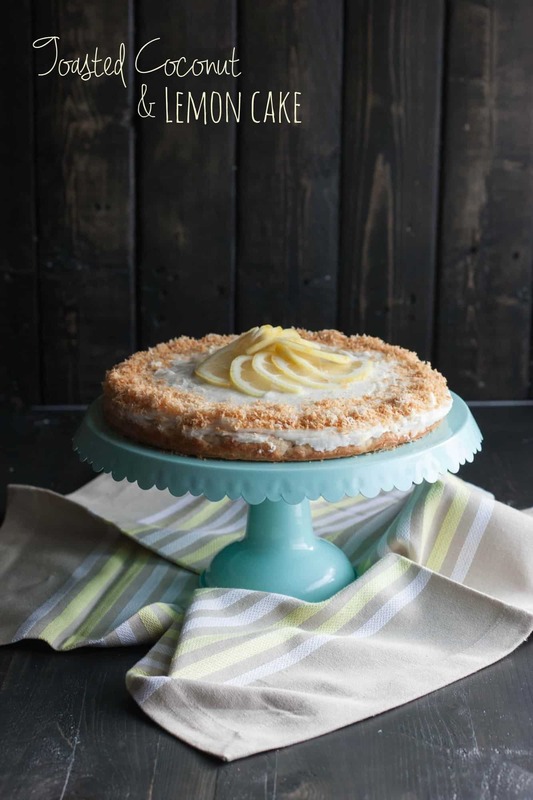 Does the vegan coconut lemon cake have you craving more coconut and lemon? 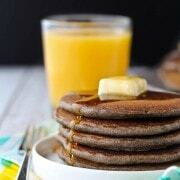 Try these great recipes: Coconut Lemon Pancakes, Lemon Clementine Cookies, Coconut Hot Fudge Ice Cream, Lemon Coconut Blondies from Crazy for Crust, or Vegan Coconut Lemon Doughnuts from Oh My Veggies. 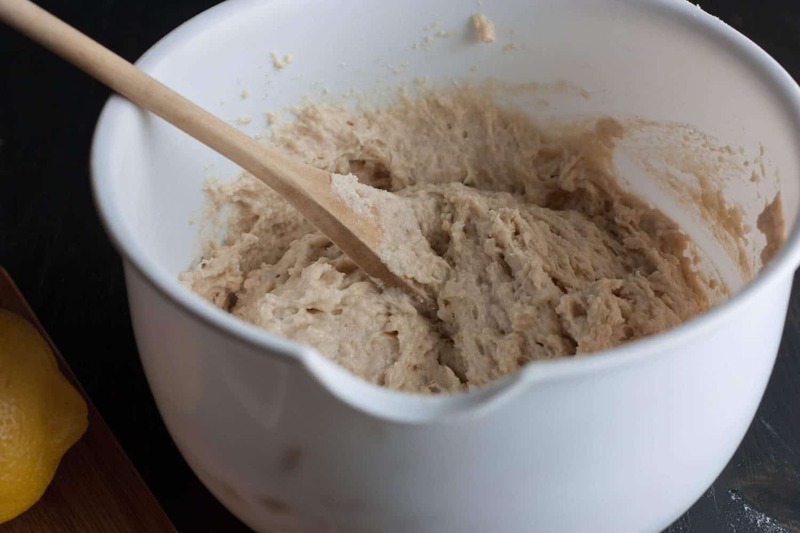 Philia (aka 'Phi') is the author, recipe developer, photographer, and kitchen mess maker behind the Sweetphi blog where she shares simple, sweet, and savory recipes. She is a Midwest girl both at heart and at home, and loves showing readers that delicious food doesn’t have to have a bazillion ingredients, take hours to make, or be intimidating. She loves sharing how-tos and practical tips for meal time success. Find Phi at www.sweetphi.com. This is so decadent and luxurious I don’t think I’d be able to stop eating it! It’s been so cold here too so lemon and coconut are the perfect flavors to channel the tropical weather! Love the toastes coconut topping, it looks incredible! we received 8″ of snow today. bring on warmer weather! I seriously LOVE anything toasted coconut, but that this is also vegan? Oh hello most perfect dessert ever! You are right—lemon and coconut very tropical and uplifting—-I lust after both those flavors!!!! First off the cake looks beautiful! I love lemon so I’ll definitely be trying this cake! This is so pretty! I love any dessert with lemon it in, really anything with lemon. I am a citrus freak! This cake looks like a true dream! So yummy! This cake looks amazing! I can’t eat dairy, so I’m really excited that it’s vegan. Is the coconut milk the canned type, or the drinkable type in a carton? pinned to save for later, and by later I mean this afternoon! 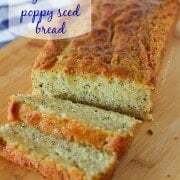 I think I have everything to make this, and I have a new mom friend I can share it with! this looks perfect, love these flavors! 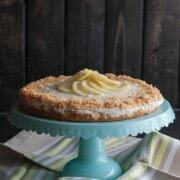 I love the lemon and coconut combination and the toasted coconut topping looks so pretty! It’s freezing here too! Nothing transports me to warm weather like citrus does. YUM! I’ve got to try this. It looks great!! !